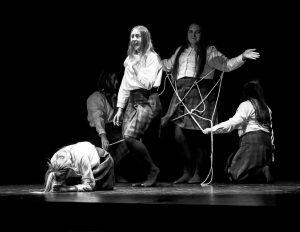 For over 60 years, secondary Catholic secondary schools from throughout the Wellington and Palmerston North dioceses have come together to compete in the prestigious O’Shea Shield speech and drama competition. Students participate in eight events including debating, religious questions, prepared and impromptu speeches, religious drama, scripture reading, oratory and scripture reading in Te Reo Māori. 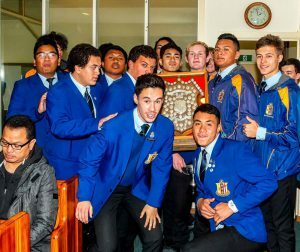 This year’s hosts, St Bernard’s College in Lower Hutt, won the competition for the first time since the O’Shea Shield event began in 1946. 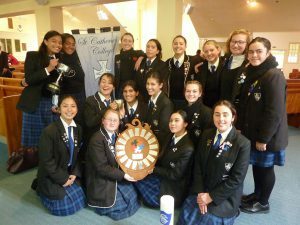 St Bernard’s College hosted and won the O’Shea Shield this year held 13‒14 May. 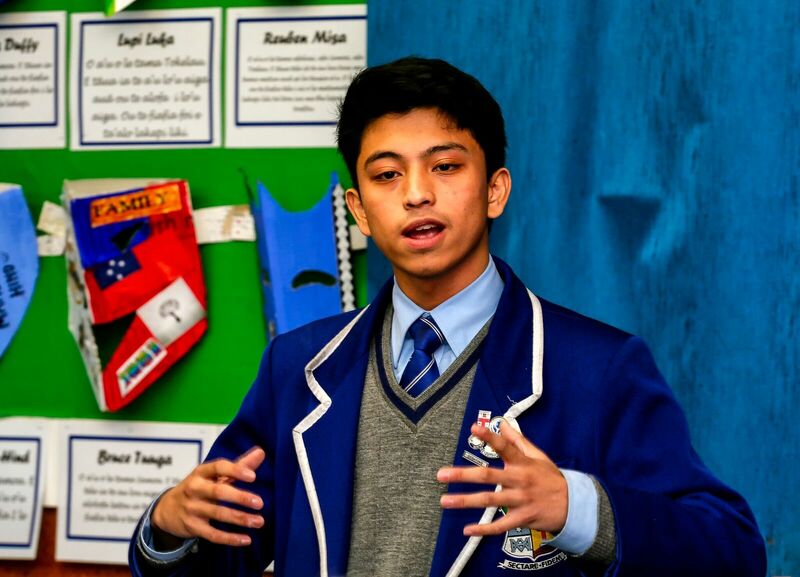 The annual competition includes debating, impromptu speeches, scripture reading in English and Te Reo Māori, junior prepared speech, oratory, and religious drama. Since the O’Shea Shield began in 1946, this is the first time St Bernard’s has won the competition. St Patrick’s, Wellington, came second and St Catherine’ College, Kilbirnie, came third. St Catherine’s host next year’s competition. 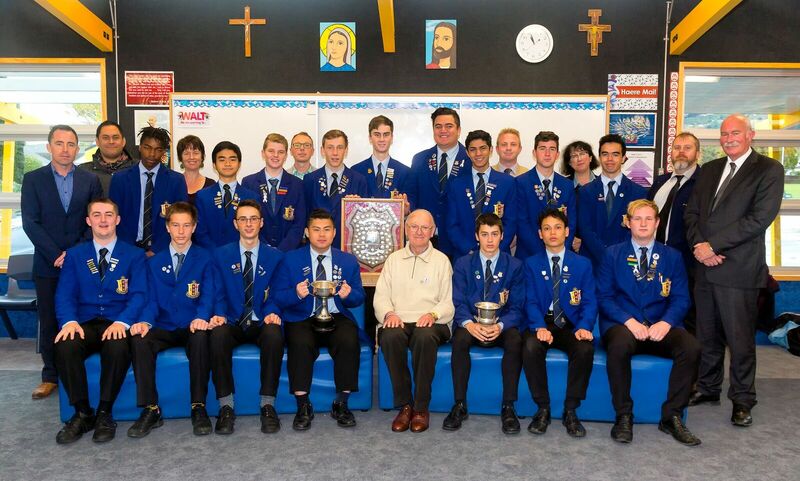 The O’Shea Shield is for the Catholic secondary schools in the Wellington and Palmerston North dioceses. This year, 17 colleges took part. The Marist Brothers began teaching at St Bernard’s College in 1946. Significantly, 2017 is the bicentennial year of the founding of the Marist Brothers in France, in 1817. The 2017 O’Shea Shield full results’ table is on St Bernard’s website (sbc.school.nz). St Bernard’s College – O’Shea Shield Winners 2017. 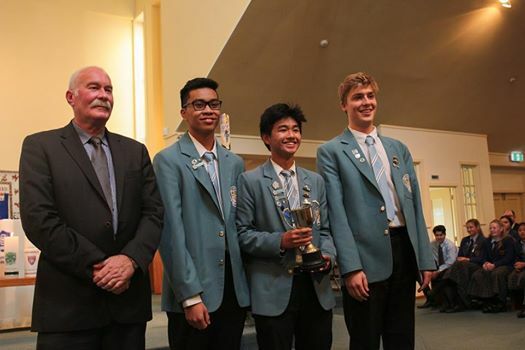 St Patrick’s College, Wellington, bringing home the Bishop Viard Cup for Runner Up once more! The weekend began with an early wake up on a cold Wellington morning at St Bernard’s College. Everyone was gathered, feeling both nervous and excited, ready to get the Pōwhiri underway. 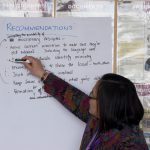 A spirited Pōwhiri welcomed our brother and sister Colleges into our school and set the tone for the passion that was to come throughout the rest of the weekend. The first day consisted of debating, impromptu Speech, Te Reo Scripture reading, Oratory and Junior Prepared Speech events. We saw and heard some amazingly talented students compete in their respective events. We saw tears of emotion. We heard laughs of joy and everybody walked away inspired by the young talent on display. 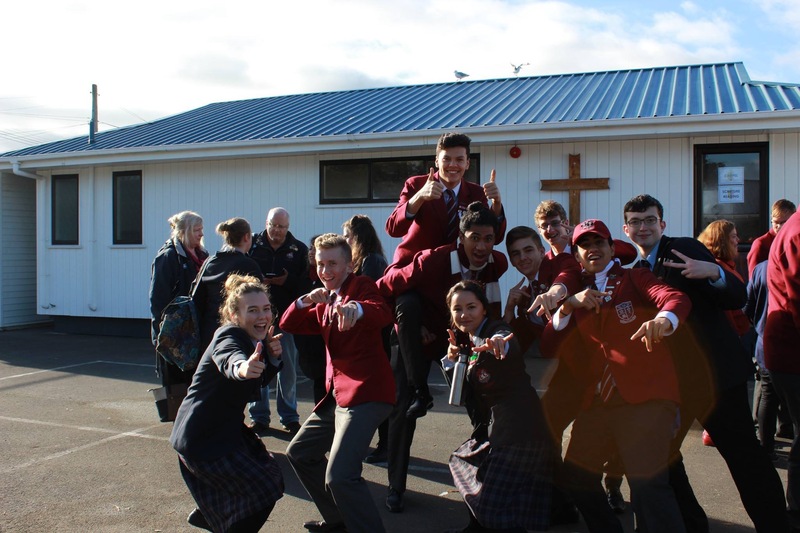 The theme for this year’s O’Shea Shield was, Living in Harmony with God’s Creation. This truly came to life in the variety of thought-provoking performances witnessed at Saturday’s Drama Night. 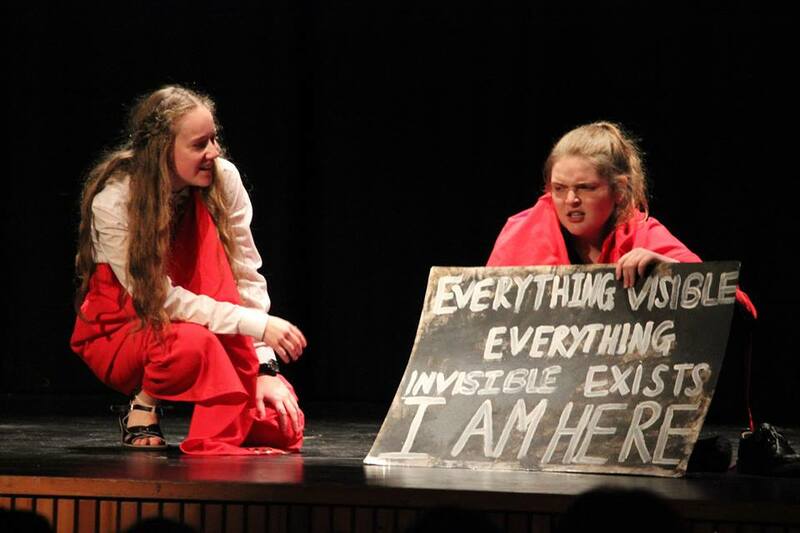 We saw diversity in the way this theme was conveyed through all 17 College performances. The crowd was lively and roaring after every performance. This added to the passionate atmosphere and undoubtedly showcased the unity of our Catholic Colleges within the Palmerston North and Wellington Dioceses. Sunday morning revealed a tight points’ table, meaning the last two events, Scripture Reading and Religious Questions, would determine the winner of the O’Shea Shield. 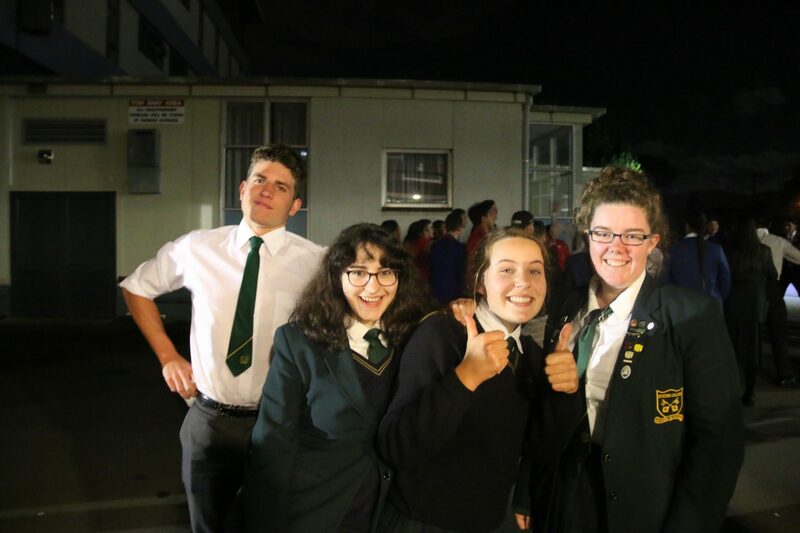 All the schools competed fiercely but at the same time in good spirits. A final Mass was celebrated by Cardinal John Dew and Bishop Charles Drennan at Ss Peter and Paul’s Church to wrap up another amazing weekend. Following the Mass, the winners of each event were recognised and awarded for their huge efforts and many hours of hard work. 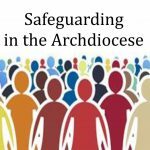 However, the O’Shea Shield event is not all about the competition; it is also about bringing our Catholic Colleges together to embrace our universal Catholic values as well as to form and grow life-long bonds that will remain strong. 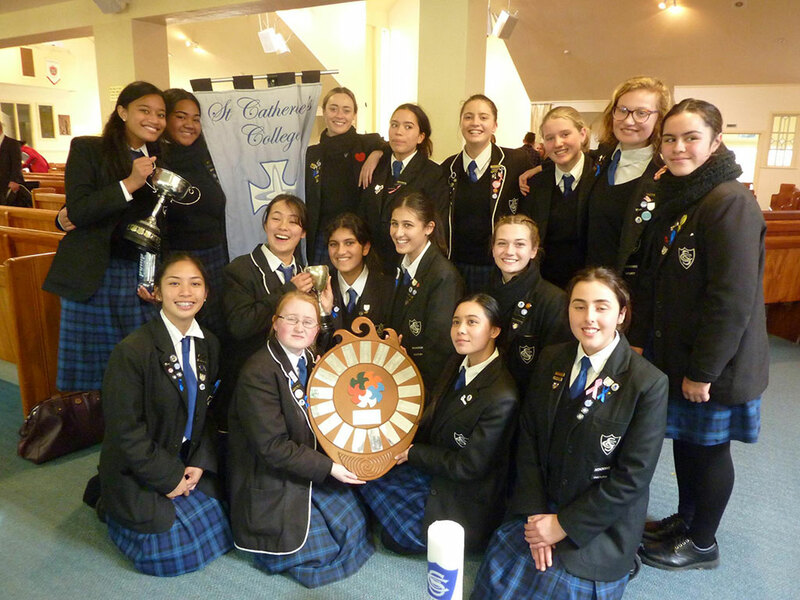 Our St Bernard’s College community felt hugely privileged to have the honour of hosting the O’Shea Shield Competition for 2017. We would like to extend a final, yet important ‘thank you’ to everyone who was involved in the event. 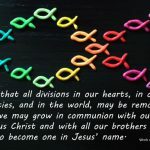 We hope everyone has come away with a greater appreciation of ‘Living in harmony with God’s Creation’.